Favourable conditions like upper winds, upper air troughs and OLR bring the SWM closer to Karnatak Coast. An UAC (off shore) prevails off the Karnatak coast...and the off shore trough strengthens...Monsoon may close in on Karnatak coast and S.I. Karnatak and Goa by 8th or 9th June. 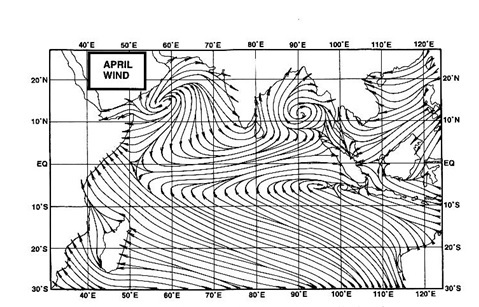 The current off shore trough (West Coast) can stretch from Mumbai to Kerala in a couple of days. As mentioned in previous post, heavy pre monsoon thunder showers lashed Goa on Monday night...Vagaries Goa gauge recorded 74 mms in 2 hrs on Monday evening (Atul Naik reported). Good Precipitation Continues in Kerala, some readings (in mms) as on Monday 6th Morning:More heavy rains expected in Kerala next 48 hrs..
Kolkata had heavy pre monsoon showers on Monday, with DumDum recording 45 mms and Alipore 16 mms in 12 hrs ended 8.30 pm IST. Port Blair in Andaman recorded a heavy 109 mms in the same 12 hrs on Monday. Heavy rain in central and east bangalore last night. The system cam from south west and moved east. Clear south west monsoon behavior. IMD still holding back from declaring monsoon onset. Sir when will we get rains the evening thunderstorms in Mumbai? Rajesh sir when will we get 1st proper rain showers in Surat? ? If parameters are alright , can imd still keep quiet?? Bengal. The Northern Limit of Monsoon (NLM) passes through Lat. 7.0°N/ Long.60.0°E, Lat. 7.0°N/ Long. 70.0°E, Lat. 7.0°N / Long. 79.0°E, Lat. 11.0°N / Long. 87.0°E, Lat. 14.0°N/ Long.90.0°E and Lat. 17.0°N/ Long. 95.0°E. along Karnataka­Kerala coast, onset of monsoon over Kerala is very likely by 9th June 2016.
rajesh sir,when will it rain in pen,roha? Rajesh sir, Pune not getting pre monsoon showers from yesterday. What may be the reason? No pre monsoon rains in mumbai yet.when will we get thundershowers. Hrishikesh/Vinod/Atul: I had mentioned ( in Saturday post) that the off shore trough from 5th June will strengthen off the Karnataka coast and will extend from Karnataka to Kerala. On Saturday i had therefore expected the Monsoon to move into coastal Karnataka. This happening got stalled and halted for a couple of days, and now i expect the off shore trough to strengthen from 7th une. I have accordingly delayed the SWM from moving into Coastal and S.I. Karnataka to 8th June in Monday's post. Similarly, Mumbai thunder showers we expected on Monday and Tuesday also got a 2/3 day push. Expect thunder showers again from Thursday 9th.Even possible on Wednesday in some parts. From Saturday 11th, we shall get heavy showers, maybe 35-40 mms on Saturday night. Pune also got delayed, but from Pune had a short break, and expect showers again from Wednesday. Heavy again on Friday. Shitij: Surat will start getting from Sunday , the trough extending Northwards by then. Abizer: Thunder showers expected in your region (Initial weak) on Thursday, but heavy on Saturday and Sunday. Pankaj: I have answered your question and given my views in "comments" of Saturday 4th Post. Meanwhile Monsoon is active in Kerala, with Aryankavu getting 61 mms, Vaikom 60 mms and several stations between 40-60 mms. Monsoon is also precipitating good rains in T.N. Currently the monsoon active over kerela to karnatka coast and goa also receive monsoon rain in coming days.but after reaching goa bbc website showing monsoon becoming once gain weak and not reached mumbai and south gujrat.the weak off shore only running from goa to kerela next week. Sir ur view on that..
Rajesh sir,monsoon onset over kerela declared by imd on 8th june.Conditions remain favourable for further advancement of SWM over remaining parts of kerela,more parts of coastal and SI karnataka and south A.P in next two days.sir when will monsoon reach mumbai? When will monsoon reach Jabalpur ?